DENVER (AP) — Colorado notched another nationwide first Wednesday involving cannabis when state agriculture officials showed off the first certified domestic hemp seeds. The seed certification “is vital to the long-term growth of the industry,” said Duane Sinning of the department that oversees the state’s 400 or so hemp growers. Hemp production was authorized by Congress in 2014. But farmers who want to grow it must have state certification to raise the crop. The industry estimates that fewer than 7,000 acres of hemp are being grown nationwide this year. Seed scarcity is cited as a major roadblock to the use of hemp becoming more widespread. Seed prices can start at $25 a pound and go up to more than a dollar for an individual seed. If the seeds produce plants above 0.3 percent THC, they must be destroyed, leaving the grower with a total loss. 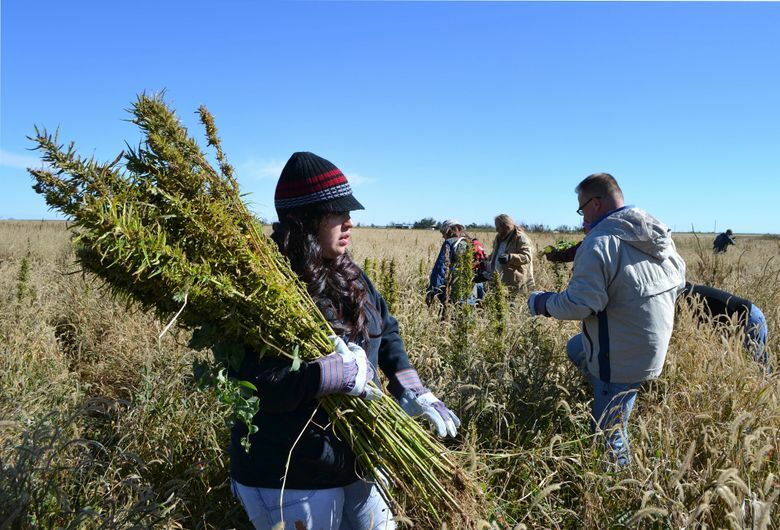 Agricultural researchers are intrigued by hemp’s commercial potential. Beyond health foods, hemp can be used in the production of fiber or pressed into oils used therapeutically. Plus, it is drought hardy. Farmers in the 29 states that allow hemp production under certain circumstances will be able to buy the certified seeds in 2017. Colorado seed distributors, not the state, will set prices, though Sinning predicted they may be pricier than imported seeds because they’re certified. Colorado has certified six separate varieties of hemp seeds, all tailored for the state’s high altitude, so officials aren’t sure how much interest seed distributors should expect from out-of-state hemp growers.